Model stitched over 2 threads on 28 Ct. gingham linen (or fabric of your choice) with Weeks Dye Works floss (or DMC floss 221, 926, 898, 3790, 834, 3348, 731, 434, 680, 920). 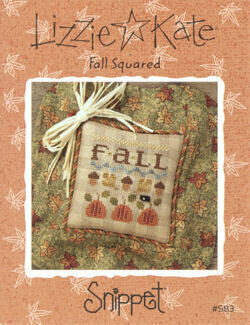 Stitch Count: 42W x 43H. Shown with a button from Just Another Button Company. 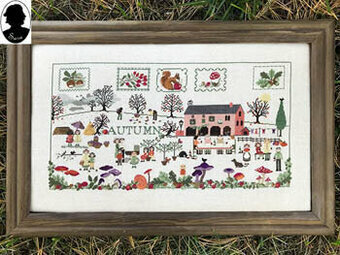 Framed model stitched over 2 threads on 28 Ct. Summer Khaki linen. 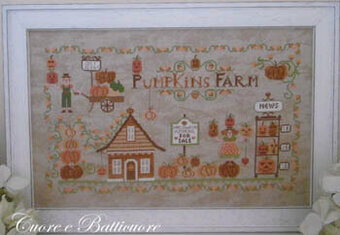 Stitch Count: 48W x 98H. 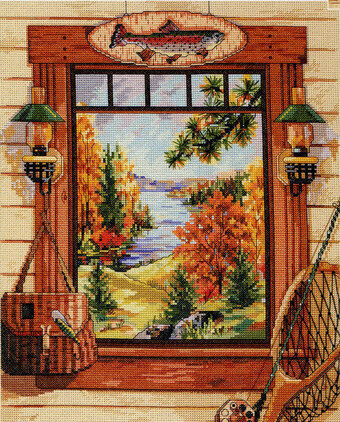 Pillow model stitched over 2 threads on 28 Ct. Country French Golden Needle. 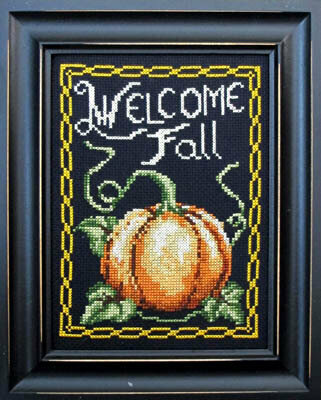 Stitch Count: 49W x 49H. 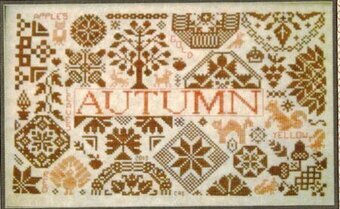 Both models use Gentle Art Sampler threads and Weeks Dye Works floss (or DMC 414, 310, 500, 744, 3863, 334, 3051, 3740, 612, 402, 3021, 3363, 413, 543, 3772, 435, 930, 221, 919, 783, 712). Comes with charms. 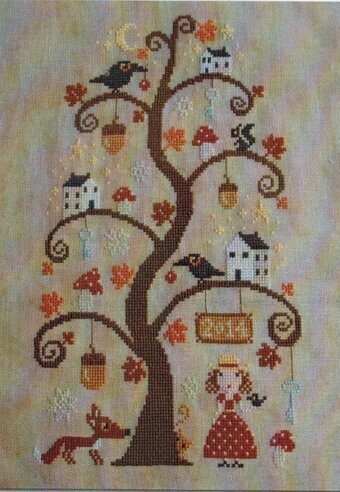 Model stitched on 28 Ct. Mello Cashel linen from Picture This Plus with Gentle Art Sampler threads. 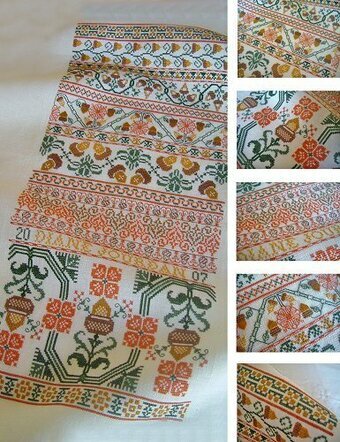 Stitch Count: 160W x 100H. 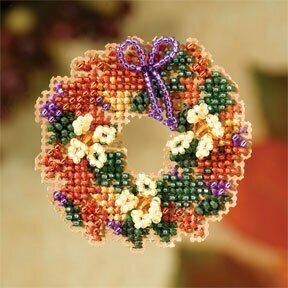 Kit Includes: Beads, ceramic button, treasures, 14ct perforated paper, floss, needles, chart and instructions. Finished size: 5" x 5". 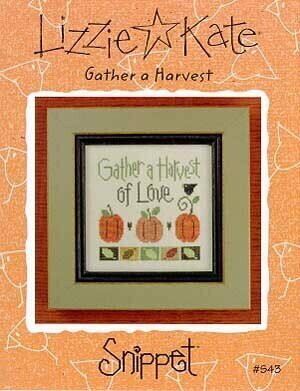 This cute Snippet design features pumpkins, Autumn leaves, a blackbird and "Gather a Harvest of Love." 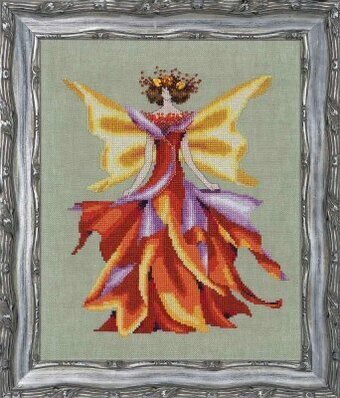 Stitch Count: 75W x 75H. 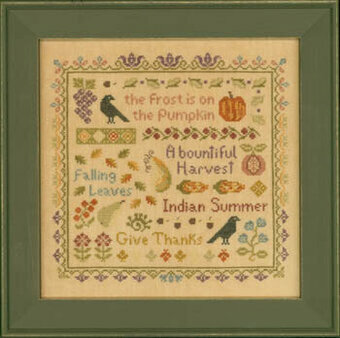 Model stitched on 30ct Clay, Northern Cross Linen over two threads using Gentle Art Sampler Threads. 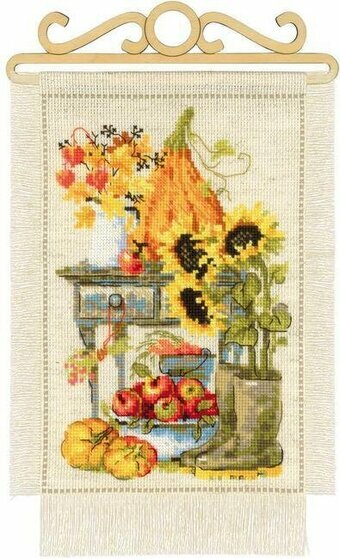 Cross stitch kit featuring an Autumn scene including sunflowers. 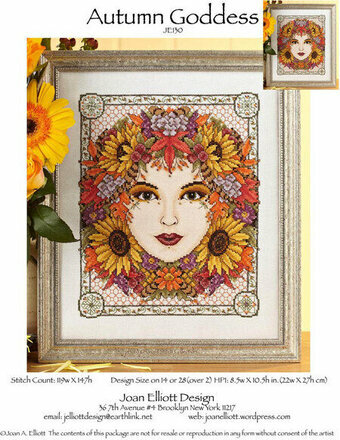 This cross stitch kit contains 14 count flaxen Aida Zweigart fabric, Safil wool/acrylic threads (19 colors), needle, instructions and color chart. The kit also includes a wooden hanger. 7.75" x 11.75". 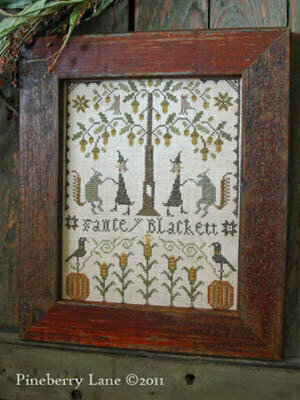 Model stitched over two on 32 Ct. Old England linen by Nikyscreations using DMC floss. 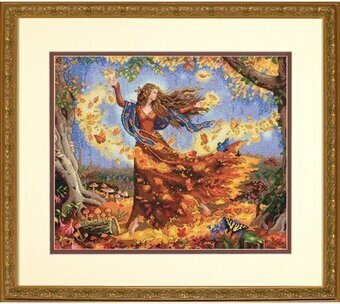 Approximate size 12"x12". 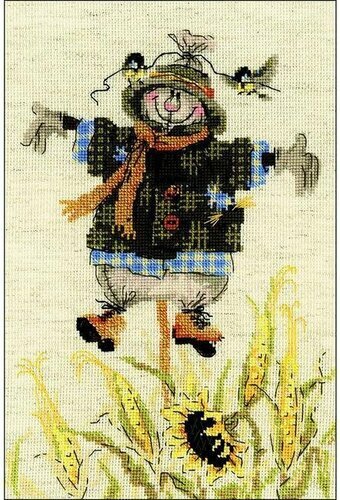 Cross stitch kit featuring a scarecrow and a sunflower. 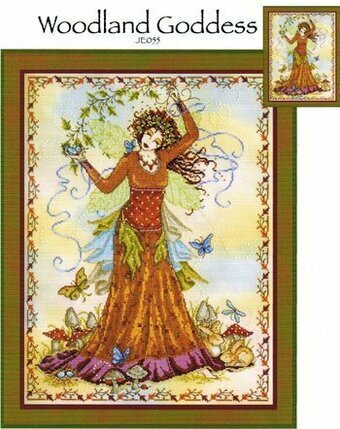 Includes 14 count flaxen Aida Zweigart fabric, Safil wool/acrylic threads (16 colors), needle, instructions, color chart. 8.25" x 11.75". 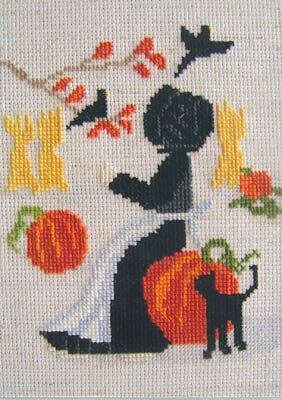 Model stitched on 36 Ct. Mangolia linen from Lakeside Linens with Au ver a Soie (1846, 1845, 2245, 2244,2616,2615,4526, 4516). 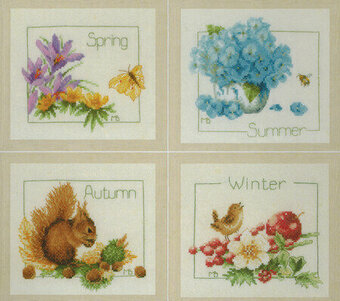 Stitch Count: 127W x 273H. 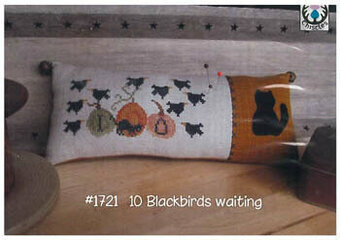 Stitch Count: 119W x 147H. 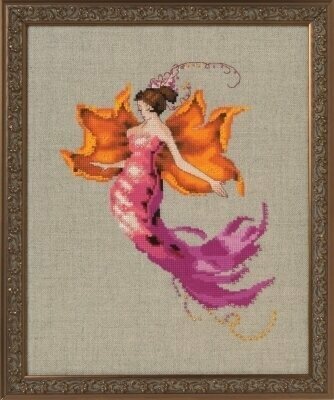 Model stitched on 14/28 ct fabric of your choice using DMC & Kreinik floss & Mill Hill beads. "Weep not for me my children dear. Angles weep when children mourn." 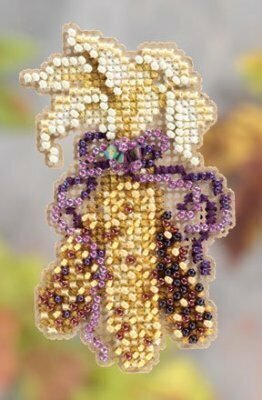 Model stitched on 36 Ct. Buttercream by Lakeside Linens with NPI Silks (or DMC 221, 831, 830, 972, 742, 741, 3340, 3799, 680, 436, 3864, 435, 922, 921, 900, 869, 169, 838, 648, 646, 3787, 3021, White, 310-need 3). 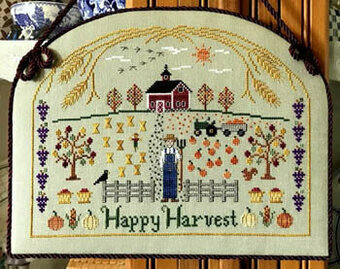 Stitch Count: 419W x 269H. 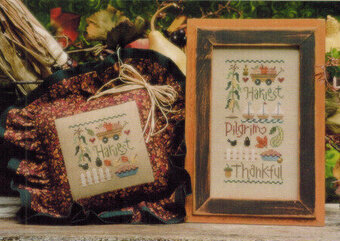 Model stitched on fabric of your choice with Gentle Art Sampler threads and DMC floss. 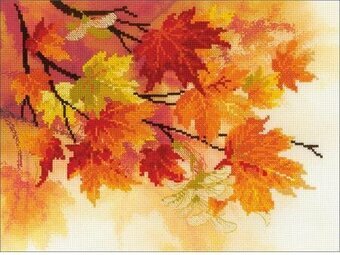 Stitch Count: 278x263. Model stitched over 2 threads on 40 Ct. Light Mocha Newcastle linen with Classic Colorworks floss and Weeks Dye Works floss (or DMC 3865, 680, 3799, 869, 920, 922, 3031). Stitch Count: 80W x 87H. 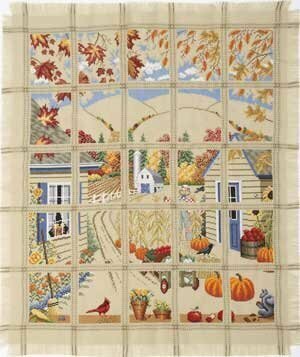 Model stitched on 32 Ct. Strandflower by Lakeside Linens with Valdani hand-dyed floss (Terra Cotta Twist, Crispy Leaf, Orange Red Medium, Autumn) or DMC floss (300, 469, 970, 782) Stitch Count: 59W x 81H. Finishing instructions included. 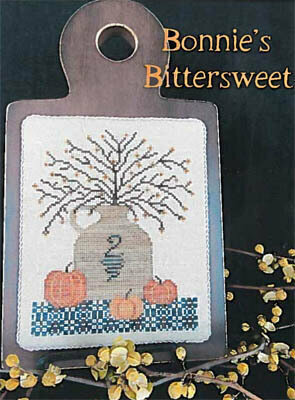 Models stitched over 2 threads on 36 Ct. Patriot's Brew linen by R&R Reproductions with Classic Colorworks floss. 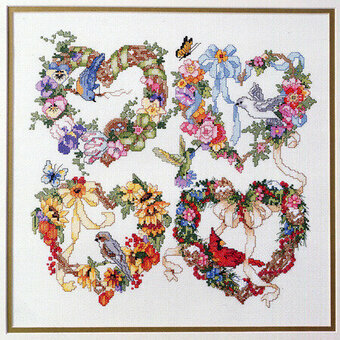 Stitch Count for each design is 80x80. 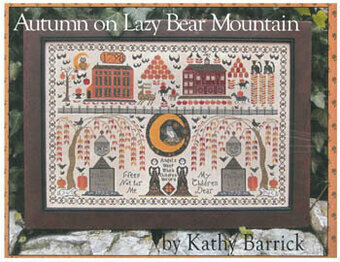 Model stitched on 30 count Putty linen by Weeks Dye Works using Gentle Art & Weeks Dye Works. (DMC conversions are 3826 433 869 647 729 3858 3781 3021 3031 3052 434). Button included with pattern! Stitch count: 69W x 72H. 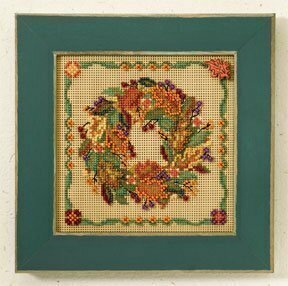 Model stitched over two on 32 Ct. Olive, Laurel or Putty colored linen, using Classic Colorworks. 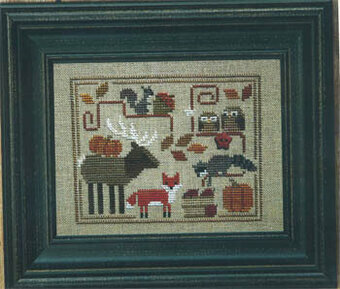 Stitch count in 3 different sizes, 31x31, 45x45 & 51x51.